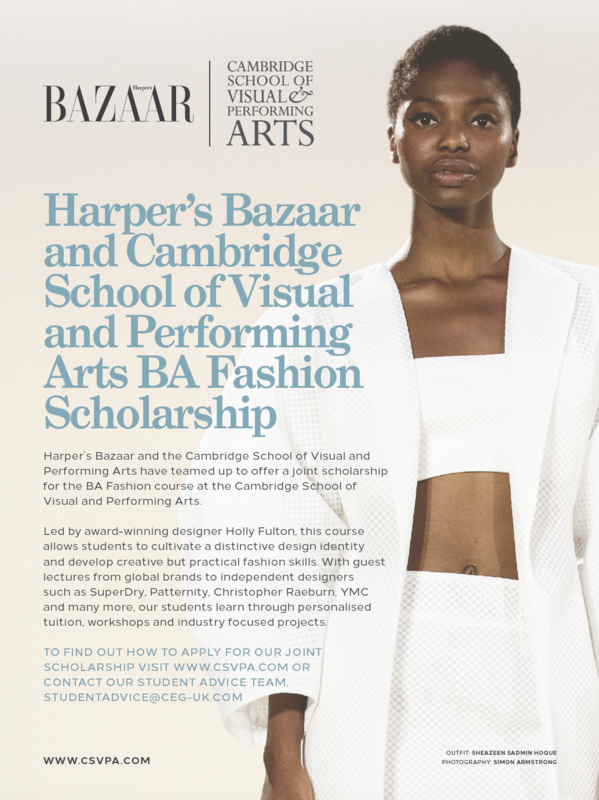 Cambridge School of Visual and Performing Arts have partnered with the leading premium magazines, Harper's Bazaar and Cosmopolitan to offer fully-funded scholarships with internships for UK students in a bid to encourage accessibility and diversity in the fashion, animation, film and gaming industries. 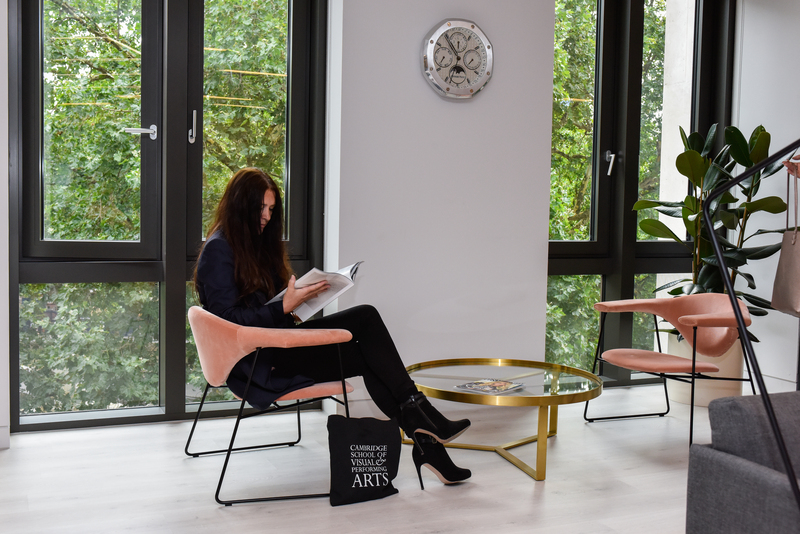 As part of our long term partnership with Hearst Magazines, UK, we are jointly offering two scholarships for students with creative flare, passion and a drive to work as a professional creative. Students who receive these scholarships will not only study with us and learn from our expert lecturers, they will also be given live briefs and tasks through internships held at Cosmopolitan and Harper's Bazaar headquarters. Our joint venture includes a scholarship for the prestigious CSVPA BA (Hons) Fashion degree course, headed by award-winning designer Holly Fulton, which is affiliated and supported by Harper’s Bazaar. With a focus on contemporary fashion design or branding, this three-year degree course encourages creativity whilst equipping students with all the skills needed to work in the fashion industry through group projects, workshops and live briefs. To find out more about this course click here. Our second scholarship is for the UAL Extended Diploma in Creative Media Production & Technology which will be supported and is in association with Cosmopolitan. Recipients of each scholarship will also be offered the opportunity to undertake work experience or an internship at Harper's Bazaar or Cosmopolitan. Our courses are specifically designed to give you the skills the creative industries really need! We're looking for creative, dynamic thinkers, who can bring fresh ideas, and show emotional intelligence and insight into the audiences they wish to communicate with. You must have a passion for what the courses specialise in, and as part of the application process you’ll need to submit a 500 word personal statement telling us about yourself and your love for Fashion or Film, Animation or Games. Applicants must submit a 500 word personal statement and meet the standard entry requirements for their chosen scholarship. Entry requirements for the BA (Hons) Fashion can be found here. Please note that a portfolio is also needed for entry. Entry requirements for the UAL Extended Diploma in Creative Media Production & Technology can be found here. Both scholarships are only open to citizens and residents. For the BA (Hons) Fashion course applicants must be 18+. For the Extended Diploma in Creative Media Production & Technology course, applicants must be between 16-18 years old to apply. Educational requirements for both respective courses will also need to be met in order to be eligible for the scholarship. Demonstration that you do not have the means to fully self-fund through your own savings or through funding from a parent or guardian will also need to be provided. At the Cambridge School of Visual and Performing Arts, we believe that creativity can start from anywhere and our scholarships are intended to promote accessibility and diversity within their respective field of study for students who could not otherwise afford further education. Entries for both scholarships will be initially sorted and selected by relevant CSVPA course leaders and our schools' Dean and Rector. Selected candidates will then be interviewed by a panel comprising of representatives from Hearst Magazines UK and/or Harper’s Bazaar UK/Cosmopolitan UK magazines and CSVPA. The closing date for both scholarships is 30th June 2019. Once the closing date has passed, our student recruitment team will contact successful candidates who will be invited to interview. After the final candidate has been interviewed all applicants will be contacted and told if they have been successful in winning either scholarship. Winners must claim the scholarship by responding to our student recruitment team within 5 days of the offer. 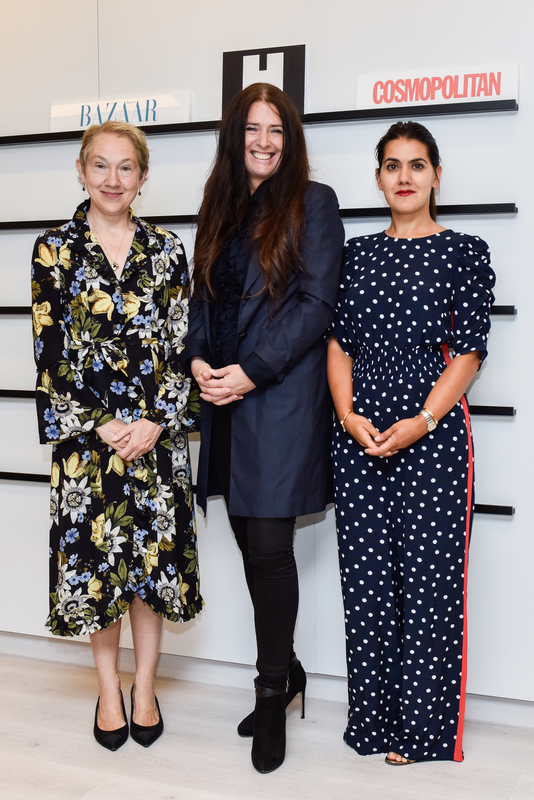 The winner of the BA (Hons) Fashion scholarship in association with Harper's Bazaar will receive free tuition to study the BA for all three years of the course (2019, 2020, 2021) and up to a 4 week internship including travel expenses of up to £700. The winner of the UAL Extended Diploma in Creative Media Production & Technology scholarship in association with Cosmopolitan will receive free tuition to study at our school, along with free boarding and meals at our school accommodation and up to a 4 week internship including travel expenses up to £700. Entry for both scholarships open on the 30th January 2019 with a closing date on 30th June 2019. All applicant entries must be received by no later than midnight on the closing date. Terms and conditions for both scholarships can be found here. Our terms and conditions along with entry requirements and the application process have also been detailed in terms and conditions section at the beginning of the application form for both scholarships. Please read this carefully before entering. Any questions can be sent to our student recruitment team (studentadvice@ceg-uk.com) who will happily guide you through the application process.